In this article, I’m going to break down and simplify one of the best methods for making passive income online. Like my arbitrage method and others, this is not a new method; people have been doing it for years, it works great and it will continue to work for years and years to come. I’ve followed through with this method myself and have seen results month after month. It can be employed in just about any niche that has associated products, whether physical or digital. Now, this is definitely not a get rich quick strategy; in fact, it’s going to take some time and effort, particularly in the beginning, before you start to see the money come in. 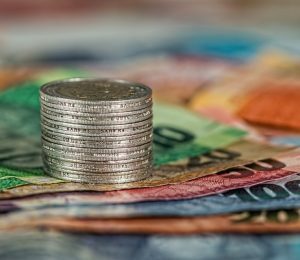 Once it does though, and if you’ve done things correctly, you’ll reap the benefits of a very reliable income stream that’s pretty much completely passive. You can even make a small investment to speed up the process — that will be expanded upon later in the article. As with most other ways to make money online, you’re ideally going to want to have knowledge and experience in whatever niche you’re targeting. For those who are lazy and don’t want to read the entire article, this method can be summarized as follows: Choose a niche that has associated products or offers. Sub-niches of make money online, health, relationships, pets and others are great choices. Create a website based around that niche, and place articles on the website that are built upon popular keywords in that niche. Buyer keywords such as “review” and “best xyz” are excellent options — buyer keywords are keywords that people search for within that niche that imply an intent to purchase something. Your website should be monetized either with links to affiliate products or AdWords ads. Put up at least 10 articles, optimize them for SEO (search engine optimization) and wait for search engines to rank you and bring you traffic. You can also generate backlinks to your articles to rank better and faster, but this will cost money. Once you start getting organic traffic to your articles, visitors will click your ads, buy your affiliate products and make you commissions on a regular basis. Now I’ll hash this out in more detail. I’ll break this method into a few of steps, starting with niche selection and website creation. First you’ll need to choose a niche that your website will be based on. This deserves an entire detailed article on its own, but I’ll try to summarize as concisely as possible here. Pick a niche that is evergreen and you already know is hot. Most sub niches in health, biz opp, make money online and dating and relationships are great to get into. If you’re planning on putting links to affiliate products on your site, make sure that your visitor base has a reason to buy online rather than offline. For example, golf clubs might not be the greatest niche because most people would rather see, feel and swing clubs at a local shop before they buy. Find niches that have medium to high cost per click (CPC) values in Google AdWords and Bing Ads. High cost per click values imply that there’s a lot of advertising competition and there’s money to be made in that particular niche. 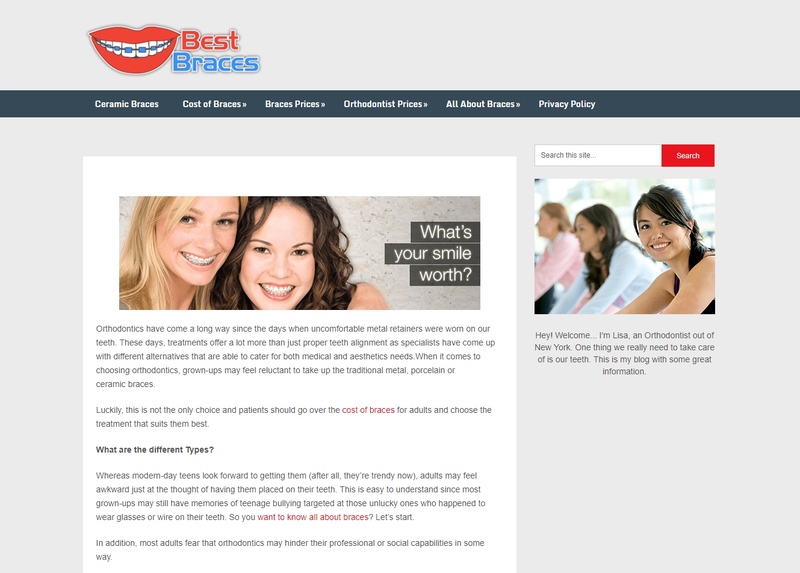 Braces is an example of a niche with a relatively high CPC. I would recommend staying away from low CPC niches; chances are the CPCs are low for a reason, and you’d be wasting your time building a website and creating articles around it. You’re free to build your website through whatever method you wish, including using free website builders like Wix or Weebly, or creating a free site on WordPress.com. Throwing up a website is easier than ever these days. However, I recommend installing WordPress on your own domain and web host. There are a few reasons for this. Firstly, search engines will tend to look more favourably towards such websites. Second, WordPress is very easy to build, update and maintain. 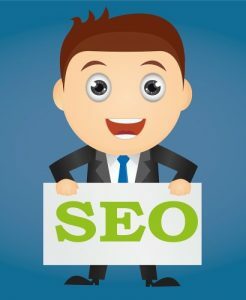 Third, you’ll be able to install SEO plugins designed to optimize your SEO for search engines. If you use my preferred method instead of building a free site, you’re going to need a web host. My web host of choice is SiteGround, but there are many other options available. Also be sure to register your domain of choice, preferably a .com (better for rankings) at a domain registrar like Namecheap, and point the nameservers of this domain to your web host. There are plenty of tutorials online showing you how to do this. Next you’ll need to install WordPress on your domain. Many web hosts have a built-in WordPress installer for this purpose, but you could also install it manually. Again, tutorials for this are readily available on the web. The next step is to fill out your site with quality content relevant to your niche. Some of the go-to keywords to base articles on are “review” and “best”. For example, if your niche is golf clubs (not necessarily recommended), some good ideas for articles would include “callaway xr driver review” and “best game-improvement drivers of 2017”. Hence, one of the things you would do is review products in your niche and talk about the “best” products in particular categories. Basically though, you’re going to want to do keyword research in your niche to come up with ideas on keywords to target and content to write for your articles. Novels could be written about keyword research, and I’m not going to cover the ins and outs as we’d be here all day. Instead, I’d suggest searching something like “how to do keyword research in 2017” in Google; you’ll find tons of awesome articles dedicated to the subject. Whenever you talk about a particular product in an article, you’ll want to include an affiliate link to a location or store where that product is being sold. This is how you’ll make money with your website. It’s only really necessary to link to one destination. 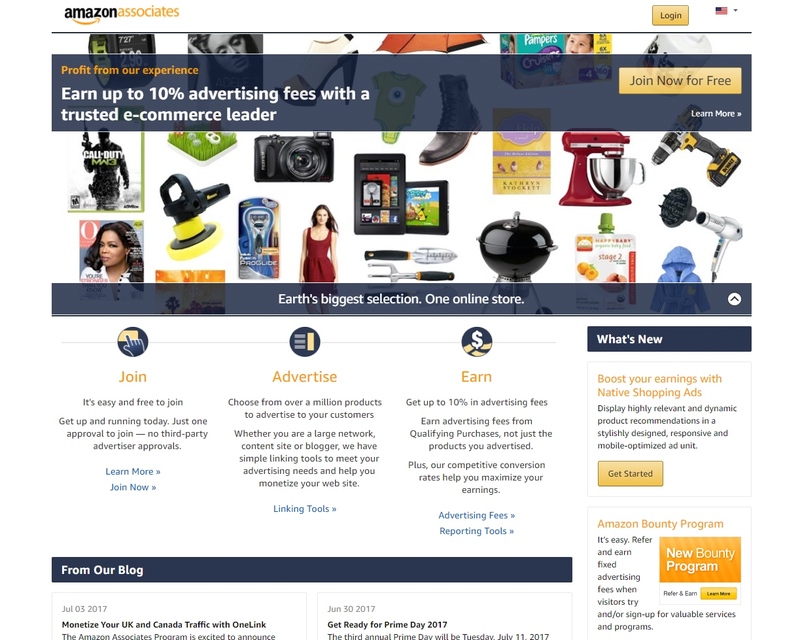 Affiliate programs in your niche can be found through a simple Google search; notable affiliate programs include those of Amazon and Walmart. Also check for digitial products related to your niche on sites like Clickbank and JVZoo; you can review these and link to them, or offer them as solutions to problems people are having. You’ll need to sign up for whatever products or affiliate programs are necessary. You can also place relevant AdWords ads on your site and make money that way, but these days I wouldn’t recommend it as the chances of you making anything substantial from them are slim. Once you have your articles ready, put them up as pages or posts on your WordPress site. create social media accounts for your website (such as on Twitter, Google+, Facebook and Pinterest) and share your articles on all of them. These backlinks don’t hold much weight, but they likely do make a difference. There’s also the option of purchasing backlinks for your site; this can drastically improve your rankings, and quickly. However, this will cost you money, and it can be risky if you’re not careful. If you want to go this route, I would recommend buying Web 2.0 links and Private Blog Network (PBN) links from reputable vendors on sites like KonKer. You should point backlinks to your homepage as well as to a few of the internal articles that you’ve created. That about wraps up my overview of how to make money online with niche websites. This is arguably the easiest way for a newbie to get started making money online. It’s what I started with, but I didn’t make quite as much money with it as I wanted to because I picked the wrong niche. Do make sure you do your niche research! The great thing about this method is that once the content is there and you start getting consistent traffic, the money will come in passively week after week, month after month. You can even continue adding new content or improving your existing content to improve rankings and increase the income your site generates. Prev Domainer Elite PRO Review + Bonus – Flipping $9 Domains For $1000+? Next Provely Review + Bonus – Boost Conversions By 250% In 3 Minutes?